eSBee Buhlman once sailed from Tahiti to Hawaii on a 134-foot brigantine doing oceanographic research. She currently spends her summers as a captain of 30-foot sailboats for Hurricane Island Outward Bound School. She has never really wanted to be anything other than an educator, and fell in love with Baxter the first day she came to visit. It's a trap! THEY'RE ALL TRUE!! In 2005, Erica Marcusgraduated from Haverford College with a degree in sociology and a concentration in education. After an exciting stint in outdoor-based adventure professions, she completed her teaching certification and masters degree while teaching English at a charter school in Washington D.C.
Erica Marcus is passionate about facilitating activities that provide opportunities for students to build a deeper understanding of themselves in support of their own health and wellness. She has been a senior wilderness youth therapy field instructor, an outdoor classroom instructor, and a middle school English teacher. 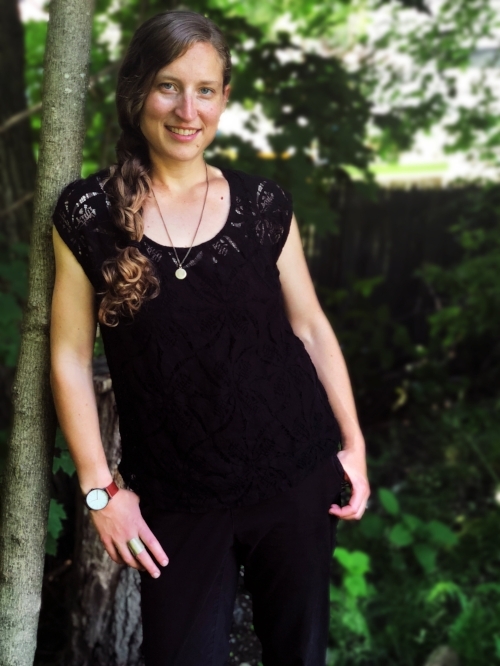 Erica is entering her fourth year of facilitating mindfulness and yoga programming for students and professional development for teachers through her organization, Wise Minds. Big Hearts. Fun Facts: In addition to her yoga and meditation practice, Erica likes to dabble in a variety of activities: reading fiction, painting abstracts with acrylics, crossword puzzling, hiking in the White Mountains, surfing at Higgin's Beach, etc. She is also enjoying being a new mom.